Hey! This is my 400th post! 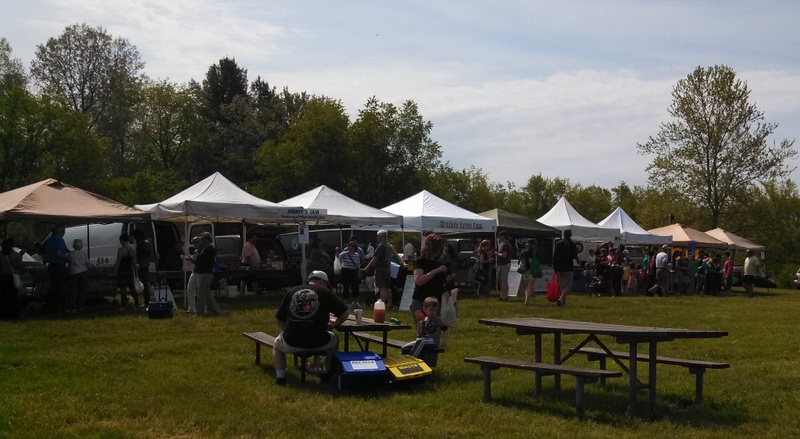 I made my way down to a local farmers market this Saturday – the Countryside Conservancy‘s market in Peninsula, OH, inside the Cuyahoga Valley National Park. It was about a 35 minute drive from Twinsburg, but a really beautiful drive through Twinsburg & Hudson, and through the National Park into Cuyahoga Falls and Peninsula. 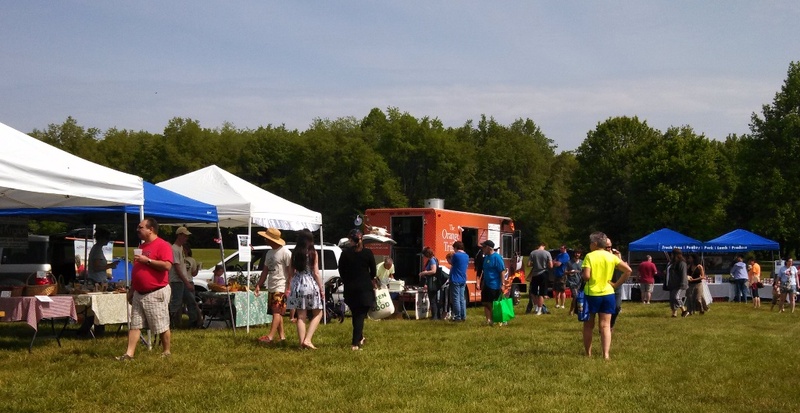 The market itself has about 50 vendors, and it’s situated in a spacious and picturesque meadow (Howe’s Meadow, to be precise) inside the park. 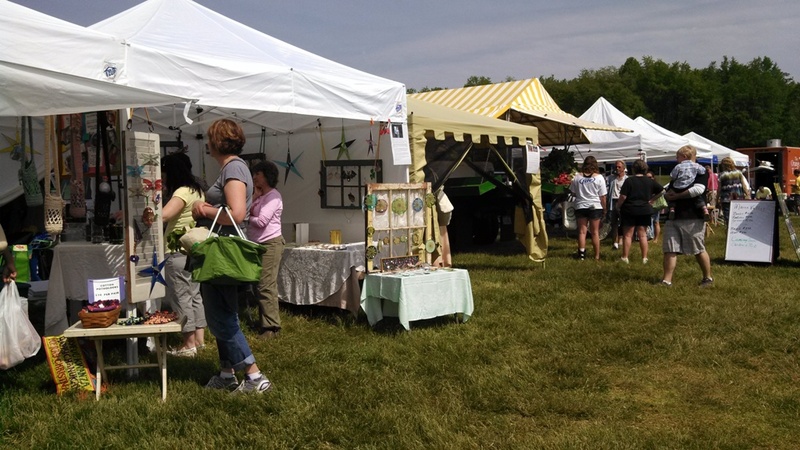 The vendors are about what you’d expect: fresh produce and plants, baked goods, prepared foods, crafts, sweets, cheeses, meats, etc. Lots of good stuff going on, including live music and food demos. Tons of great stuff, and the atmosphere was really festive and fun. People seemed to be having a great time and enjoying the beautiful weather (which some people have told me is sketchy around here?). I did make one final decision for myself while sampling some of the vendor wares: I just do not like goat cheese. That’s it. I know there are people who will think less of me because of this, like I’m less of a food lover because of it, or say that I just haven’t tasted the right one…but I’ve tasted a bunch of goat cheeses over the years, and I never like them. Ever. They just taste dirty and funky to me. So, I’m officially done with goat cheese. I’m glad I got that off my chest. 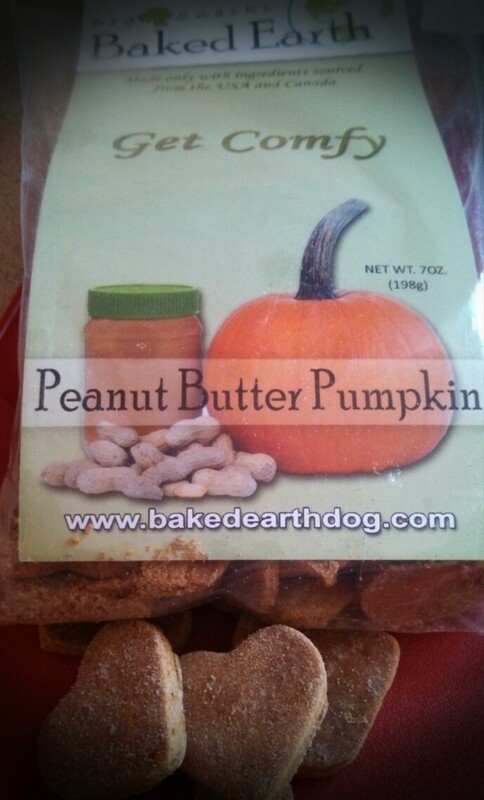 Peanut Butter Pumpkin Dog Treats by Baked Earth. Bella loves them, Quincy won’t even try them. She’s a cranky old lady. 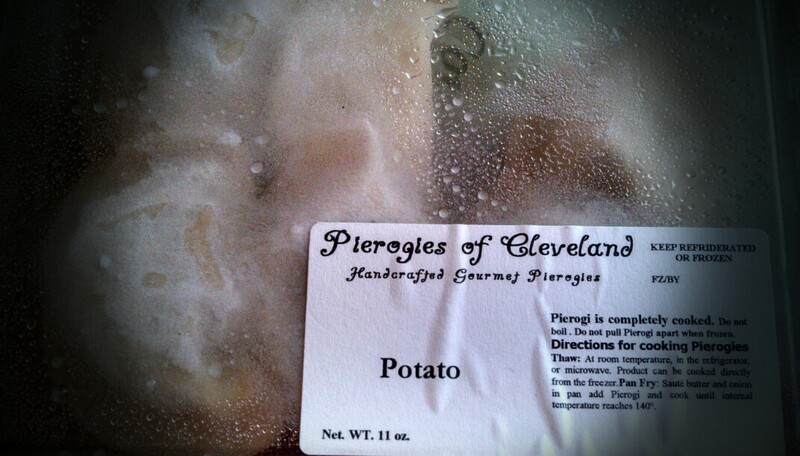 Pierogies of Cleveland. A local delicacy! Apparently Cleveland is the pierogi capital of the US? Almond Crunch from Sweets by Dilley of Cuyahoga Falls. It’s good, but I’m still a fan of my own Toffee Almond Crunch – my Christmastime gift staple and food swap favorite. Did I ever give out the recipe? No? Good. Plus I also bought a blondie from a bakery, but that got devoured on the car ride home. Man, I seem to do that a LOT. I’ll definitely be back to this market. Probably as a volunteer, as well. I need to meet people! Next up: the Countryside Conservancy food swap on Tuesday night. Previous Previous post: Sweet Treats in Hudson, OH – Great Lakes Baking Co.
Next Next post: Homebuilding, Day 2: The Big Dig Begins! The most wondrous part of the Cuyahoga Valley Park, in the opinion of my wife and myself, is Blossom Music Center. We were both very involved with the Cleveland Orchestra; my wife ushered and I sang in the chorus. I helped open Blossom in 1968, and we’ve both loved it ever since. Could have better programming these days, but it’s still the Cleveland Orchestra, and there’s none better. How we miss it in the 30 years we’ve lived in the Capital District!